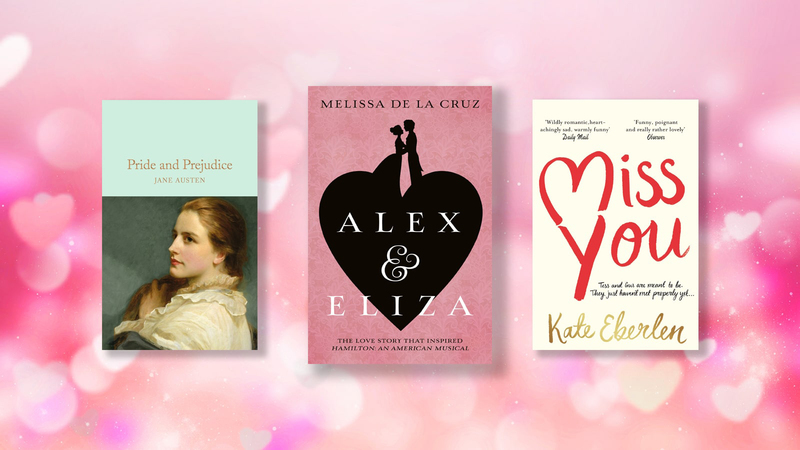 From literary classics to coming of age love stories, here’s our edit of the most romantic books, the perfect Valentine’s Day gift for any booklover. Is your other half or secret crush a book lover? We’ve curated an edit of our favourite romantic books, and you’re sure to find the perfect Valentine’s Day gift for any bookworm. From classic romance novels to contemporary love stories, these are books to fall in love with. Probably Jane Austen’s best-loved novel, this witty satirical look at society has a love story at its heart that has been charming readers for over 200 years. Feisty heroine Elizabeth Bennett is determined to marry for love, not money, but will she and Mr. Darcy be able to put aside their judgements of each other and realise they are the perfect match? The Time Traveler’s Wife is the magical story of Henry, who suffers with a genetic condition that becomes known as chrono-displacement and causes him to travel involuntarily through time, and Clare, who falls in love with Henry during his frequent visits to the past. When they eventually meet in the present, sparks fly. Perfect for fans of One Day, Miss You is the story of Tess and Gus, who are meant to be. They just haven’t met properly yet . . . Both on holiday in Florence, their paths cross for just one day. Over the next sixteen years, life and chance keeps them apart, but will fate eventually bring them together? Adapted into the much-loved film starring Ryan Gosling and Rachel McAdams, you’d have to have a heart of stone not to shed a tear at the ending of Nicholas Sparks’ first novel. A dark, haunting tale of passionate and destructive love, Wuthering Heights is one of the great novels of the nineteenth century. Cathy and Heathcliff form an intense bond, but despite their love Cathy marries a rich suitor. But neither can forget the other, and while Cathy becomes increasingly unhappy, Heathcliff is driven by a lust for revenge that will echo through generations. Call Me By Your Name is a coming of age story and a novel about the power of first love. In 1980s Italy, seventeen year old Elio’s quiet summer is turned upside down with the arrival of his father’s postdoc student Oliver. Aciman writes beautifully and powerfully on love found and lost. Kent Haruf’s final novel is a beautiful and affecting love story which warms the heart. Addie Moore and Louis Waters have been neighbours for years, now both widowed and living alone. One evening Addie pays Louis a visit, and slowly happiness seeps back into their lives. The End of the Affair is a story of obsessive love and jealousy, and is considered to be one of Greene’s most accomplished novels. Bendrix meets Sarah, the wife of a civil servant he is studying as part of his research for his new book, and the two quickly fall in love. A passionate affair ensues, but after Bendrix is nearly killed by a falling bomb, Sarah breaks off their relationship with no explanation. When orphan Jane Eyre takes a position as governess at Thornfield Hall, the last thing she expects is to fall in love with the brooding master of the house. An enduring love story and undisputed classic, Jane Eyre is full of passion, mystery, tragedy, and a strong-willed and beloved heroine. Alex and Eliza is the love story of Alexander Hamilton and Elizabeth Schulyer, and is based on the story that inspired the acclaimed musical Hamilton. The Schulyers, one of the country’s founding families, are preparing for their grand ball, and Eliza can barely hide her excitement when she hears of the arrival of General George Washington’s right-hand man. When they meet, an epic love story begins.